Your beloved fiancé is another year older today! Under no circumstances must you let this great day of his life pass by without sending him a very heartwarming birthday wish. 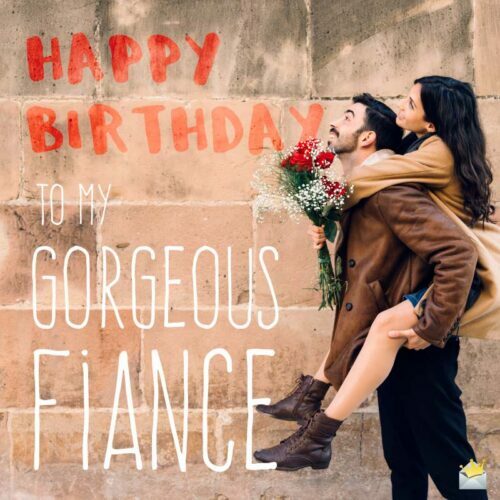 The following original birthday wishes for fiancé will help you come up with very touching wishes for your sweetheart and make him feel so lucky to have you as his wife-to-be. A very happy birthday to a wonderful man whose presence gives me instant happiness! May life always treat you as wonderful as you treat me. Happy birthday, sweetheart! I found my paradise the day I found you. May your life forever be nothing but a living paradise. Love you! I will die for your love in a heartbeat. I hope you always remember that. Have yourself the most joyous and glittering birthday celebration ever! Happy birthday to you, my handsome husband-to-be! Words can’t express how joyful my heart and soul are that God has blessed you with another year. May unshakable joy always walk with you. Babe, thank you for being a phenomenal friend and fiancé to me. I can’t wait to spend the rest of my life with you! On this great occasion of your birthday, I pray that the heavens will put a great deal of effort in making you the happiest man alive. Today, my heart wants me to tell you that it loves you more dearly than it loves beating. Have a glorious and absolutely blessed special day. Wishing a fabulous birthday to the most outstanding husband to be in the entire world! You make me so happy to be among the living. May God never stop blessing you for that. A very blessed and happy birthday to you, my best friend and soul mate. Honey, there isn’t a single word in the dictionary that has the power to describe how much I love and cherish you. Had God not blessed me with such a wonderful man like you, I’d have closed my eyes and died by now because my life would have been totally devoid of joy. Thank you for saving my life. May your birthday be as joyful as your presence in my heart makes my life! Happy Birthday to my gorgeous fiancé. I would rather live in hell with you than dwell in the happiest place of paradise without you because there’s nothing sweeter than your love. I hope you have a remarkably happy birthday, my dearest love. Happy birthday to the only man in the world who fills my soul with complete happiness. Honey, may your everyday life be as beautiful as summer’s sunniest day. You are not just my fiancé and best friend but also my most priceless gift from above. On this milestone birthday of yours, I pray for three things to be bestowed upon you: good health, great prosperity and never-ending happiness. If I were to die today, I would rest in perfect peace and bliss knowing that during my time on earth, I fell in love with the most wonderful man God ever created. I love you so much. Honey, just like my lungs will never stop needing air, so also will my soul never stop needing your presence. May God bless you immeasurably on this birthday that you celebrate today. I love you so much. As long as I have you in my life, I don’t need paradise because you bring me every single thing that is sweet, beautiful and joyful in paradise. I hope your big day is as joyful as the paradise I feel when I’m in your arms. Paradise is spending the rest of my life with you. Hell is living this life without you. May you receive nothing but the choicest of the blessings of the universe on this special day. Wishing the greatest of birthdays to the greatest fiancé in the world. Thank you for always charging my battery of hope and filling my cheeks with laughter. I love you very much. Happy birthday, my dearest fiancé! You are undoubtedly the most important soul in my life. May the greatest form of happiness walk into your heart today and never depart from it. Happy Birthday to the 2nd Love of my Life. Happy birthday, sweetheart! May your life forever be as outstandingly beautiful as the love you and I share. Today, I pray that God will bless you with every tool you need to fulfill your exceptionally amazing destiny. Happy birthday to you, my phenomenal fiancé! 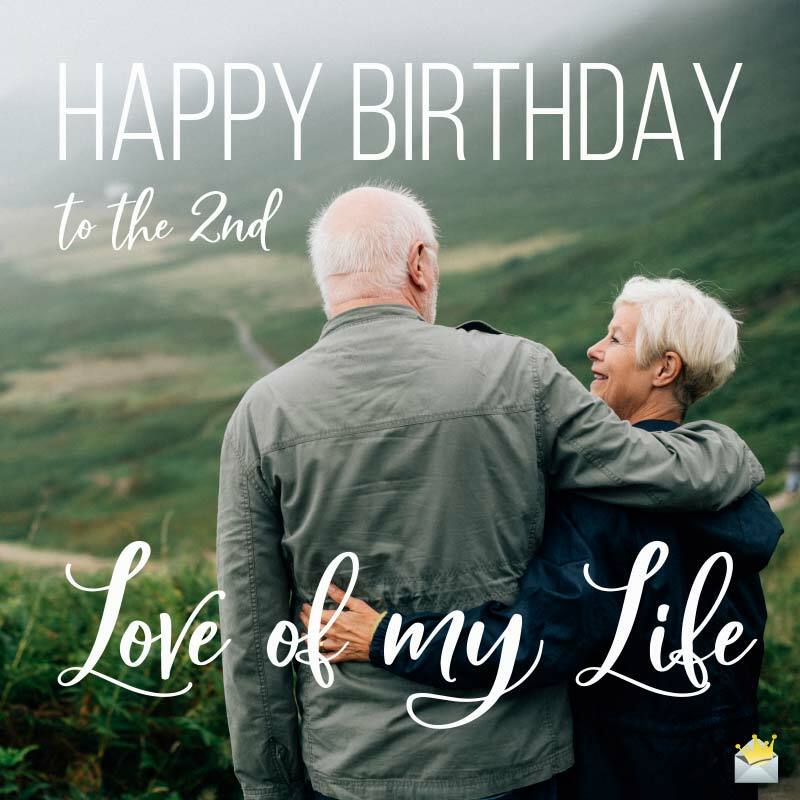 Celebrate this day, knowing that loving you is as important to me as breathing. May success and happiness always be yours. I love you so much! Wishing a boundlessly happy birthday celebration to the only man whom I will love until my heart beats no more! Honey, you are my paradise and my everything…today and forevermore. My love, having you in my life is like having all the riches of this world. I will treasure you until the day my time on this planet is up. Have yourself a heavenly birthday. Wishing a sea of joy will flood your heart all your days. Happy birthday, darling. My sweet babe, I hope you enjoy this special day God has given you, knowing that my love for you is as boundless as the universe. Dear darling, there is nothing in this universe that is deeper and vaster than the love I have for you. On this very special day of yours, may love, peace of mind and great joy forever be with you. You and your sweet love are the only two things in life that I cannot live without. Enjoy your birthday, and may countless mountains of blessings from above fill your world forever. 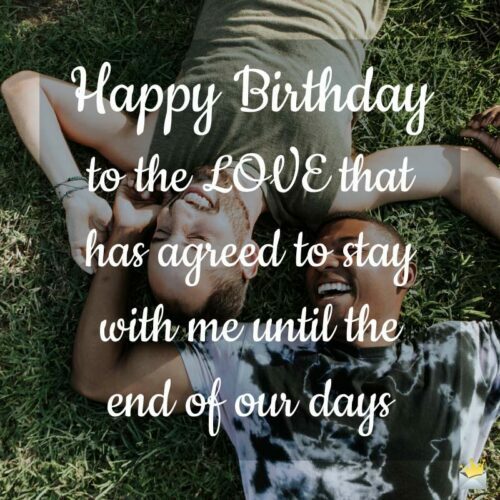 Happy Birthday to the love that has agreed to stay with me until the end of our days. I hope your birthday blesses you with all the things in life that you yearn for. I love you more than these two lips of mine can ever express. My sweet love, today being your special day, may the heavens bless you more than they have ever blessed any man on this planet. I’m completely lucky, blessed and privileged to call myself your wife-to-be. I love you so much. May God bestow blessings without end on you today – and may these blessings follow you until the end of time. I love so dearly, my dear. Wonderful men like you come once in a lifetime. I’m so blessed to have you as my fiancé.